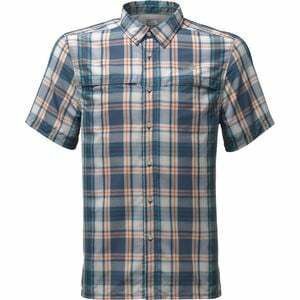 From afternoon hikes to retaining your title as Grill Master, The North Face Men's Vent Me Shirt keeps you cool and keeps you looking good in the process. Constructed with a mesh back yoke, this shirt provides plenty of air flow to keep you comfortable as you hike through the woods or cook the meat to perfection. A slimmer fit and classic button-up design keeps your style game on point whether you're near or far from town.